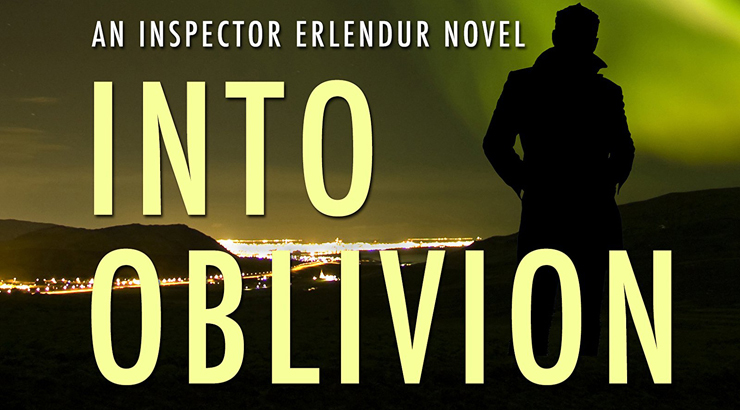 Reykjavik Nights (2012, trans 2014) and Into Oblivion (2014, trans 2016) are powerful, brooding prequel novels that provide readers with a compelling introduction to the “dark and desperate” world of Arnaldur Indridason’s Reykjavik-set Inspector Erlendur novels. The series first appeared in English in 2004, with the translation of Jar City, and continued through eight more novels following (in the main) Erlendur’s later career, from his mid-50s on. After the haunting finale, Strange Shores (trans 2010), carried the Inspector’s career to its end, Arnaldur took his readers back to meet Erlendur in his late 20s and early 30s, when he’s just starting to work with the police force. 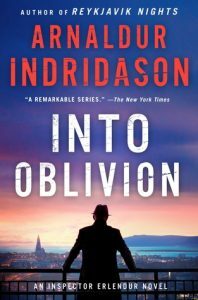 Into Oblivion, which brings Erlendur’s story to 1979, again weaves together the investigations of two counterpointed cases. Here, Erlendur’s enquiries reach back to take in the mystery of a young girl named Dagbjört who disappeared on her way to school a quarter-century earlier. The investigative consensus was that she had taken her own life, and yet – characteristically – Erlendur is unable to accept this verdict: “she would not leave Erlendur alone, no matter how hard he tried to push her away and forget the case. She haunted him like a ghost risen from the grave…” At the same time, he is investigating a current case involving the broken body of Kristvin, an Icelandic mechanic who worked at the American military base at Keflavík and who appears to have fallen – or perhaps been pushed – from a great height. It would seem to present “a stark contrast” to the mystery of the long-vanished girl, and yet Erlendur’s mind plays over strange connections, in particular to do with the relationship of both cases to America’s troublesome military presence in Iceland. Written in spare, moving, quietly authoritative prose, both novels make apparent the qualities that have given Arnaldur’s work its growing reputation. In interview, Arnaldur talks about the influence of the Icelandic sagas, with their forceful, direct story-telling and their themes of revenge, honour and family loyalty. His work integrates a deep feeling for Icelandic landscape, tradition and history with a compassionate sense of the divisions and injustices of contemporary society. 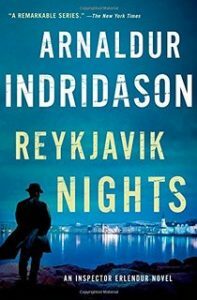 In contrast to some of his fellow Scandi crime novelists, he doesn’t move towards revelations that detail the macabre murders committed by serial killers, but instead follows the lives of ordinary men and women who have strayed into hardship or danger – the victims of domestic brutality and unpremeditated murder, people who have mysteriously disappeared in the harsh landscape or the indifferent cityscape.